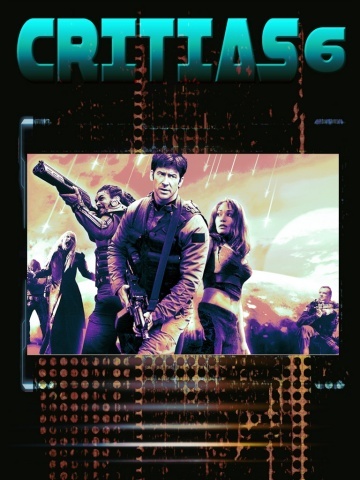 A Stargate Atlantis gen fanzine. 100 pages, digest-sized. Color cover and back cover by Montana. No deathfic. Cry-173 by Sheila Paulson: A novella. 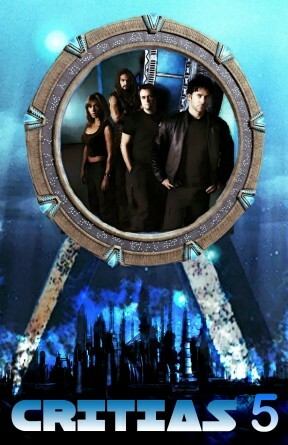 A Stargate Atlantis gen fanzine. 172 pages, full-sized. Reluctant Heroes by BlueAbyss: A novel. A discovery not far from Atlantis' current position holds promise of technology that could help fight the Wraith ... but at what cost? A Stargate Atlantis gen fanzine. 172 pages, digest-sized. The Animus by Sheila Paulson: A novella. 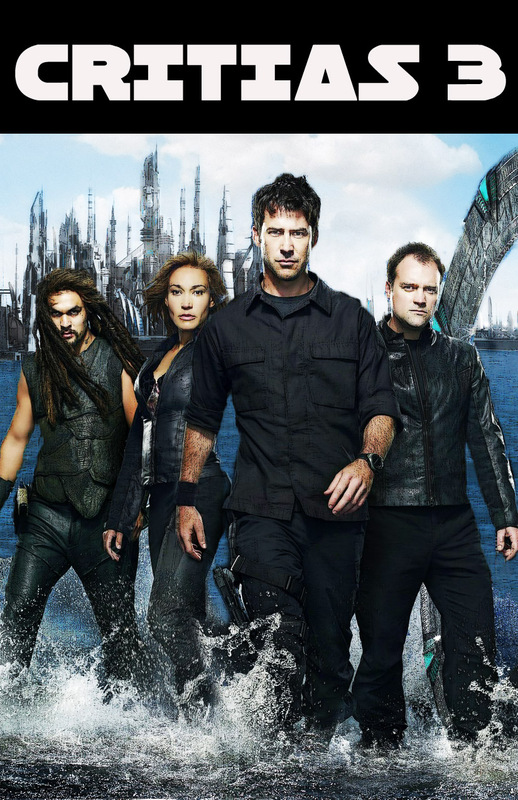 Ronon's resemblance to the royal line of Aradon is amusing to the team until their favorite Satedan turns up missing! 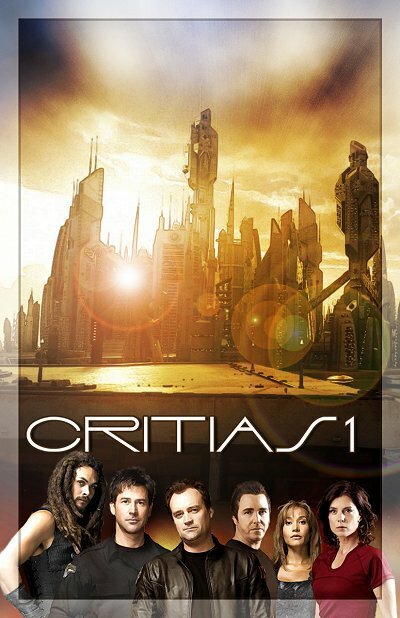 A Stargate Atlantis gen fanzine. 132 pages, digest-sized. Kryptonite by Ann Wortham & Leah Rosenthal: John is certain Ronon just has a little cold ... but it soon becomes clear it's something much more serious. Could Rodney be responsible? The Microbots by Doctor Beth: A mission goes badly wrong when John is injured and a strange woman is their only hope for help and a way home to Atlantis. Stealing Lincoln by Lorraine Anderson: Rodney is convinced there is a hidden power source, presumably a ZPM, in the graveyard of the Aifed people ... but what they find instead is much more incredible. The Chute by Sheila Paulson: A novella. Ronon Dex is ecstatic to find out a kinsman is alive ... until the entire mission goes to hell and John Sheppard is lost. 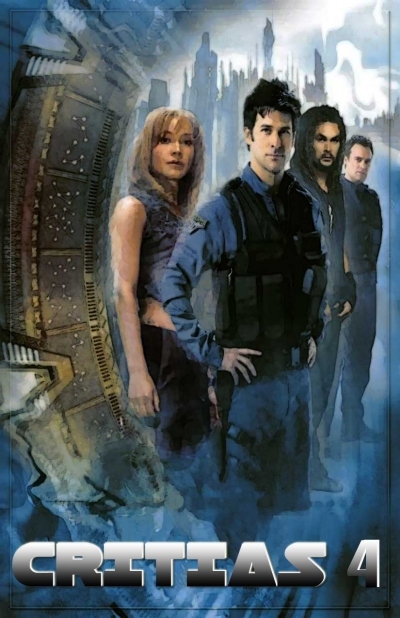 A Stargate Atlantis gen fanzine. 240 pages, digest-sized. Mandatory Torture by Blue Abyss: The crew of Atlantis come up with inventive ways to amuse themselves during mandatory training. The Shame of It by Lorraine Anderson: Rodney and Sheppard as well as their team try to deal with the consquences of a mission gone terribly wrong. A novella. What Really Happened by Blue Abyss: The team all have different memories and reports regarding a recent mission ... leaving Elizabeth Weir to find out the truth for herself! Another Fine Mess, Said Rodney by Lorraine Anderson: Woolsey soon regrets his decision to go on a mission when the team is captured first by the natives and then by the Wraith! A Wraith in New York by Sheila Paulson: The team is running from the Wraith when an unusal form of rescue presents itself. Unfortunately, the end result is, well, a Wraith in New York. Who ya gonna call? A novella. A Stargate Atlantis gen fanzine. Approximately 100 pages, digest-sized. Color cover and back cover. Artwork by Cat’s Meow Creative Arts and Montana. Cartoons by Leah Rosenthal. Pure “gen” and no “ship” stories. No deathfic. Enough by Blue Abyss: Pranks gone too far prove to be the last straw for the team and Elizabeth. Ask by wildcat88: Sheppard and his team wonder how they will convince the IOA to allow Atlantis to return home to Pegasus and a simple outing turns potentially deadly. Hell's Other Forms by Blue Abyss: John and Rodney find themselves in constant trouble with Weir as they try to alleviate their boredom. John's Journey by Blue Abyss: Sheppard goes on an unexpected journey of discovery on an alien planet. A Stargate Atlantis gen fanzine. 120 pages, digest-sized. Color cover and back cover. Artwork by Cat’s Meow Creative Arts and Montana. Cartoons by Leah Rosenthal. An eclectic mix of short stories and a novellete focusing on the team of Atlantis and especially the friendship between Sheppard and McKay. Pure “gen” and no “ship” stories. No deathfic. Good to See You by bluflamingo: There's nothing like Ancient tech to take all the fun out of something that ought to be really cool. History Repeats by KimberlyFDR: John and Rodney find themselves having to help Jeannie in unexpected circumstances. But Now I See by K Hanna Korossy: Sheppard learns the hard way that having the Ancient gene isn’t all fun and games … and makes some important discovers about Atlantis and himself. 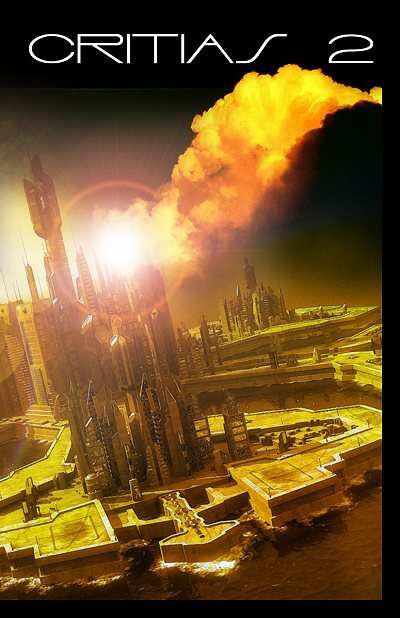 Negotiations by wildcat88: The team heads off-world to explore an Ancient manufacturing facility which comes to life when they enter, accidentally injuring many of the inhabitants.. Relations worsen as secrets are revealed. When marauders attack, Rodney must find a way to save them all. A novelette. Friend us on Facebook to get the latest news about fanzines, cartoons, and our online store! If you prefer a mailing list, there is a link to join below. Gift certificates are available if you'd like to buy a special gift for a fannish friend! To order and pay by cash, check or money order (US funds only), please email me and tell me which zines you want and your address . If you are paying by Paypal to use your credit card or an echeck, you can use the shopping cart for each item. Alternatively, if you know what you want and the price(s), you may Paypal the money to my email address but please make certain you indicate on the payment what you are ordering. Check out all of our Stargate SG-1 Fanzines for genzines, slash, hurt/comfort, angst, action/adventure and more. If you are interested in submitting to any of our upcoming publications, please click here to view our submission guidelines. Take a look at our gorgeous Custom Calendars featuring artwork by Leah Rosenthal and photos by Ann Wortham. 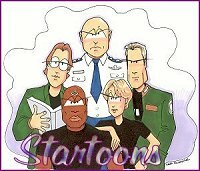 Or stop by and visit Leah’s Stargate Cartoon page! We accept money orders, cash (at sender’s risk!) or credit cards (via Paypal only) in payment. For further ordering and pricing information regarding any Ashton Press fanzine, please contact Ann Wortham at ashton7@aol.com. An Announcements only group for our websites, fanzines, fan fiction and more.